Encouraging cooperation among all the organisations, conventions and other forest-related processes. 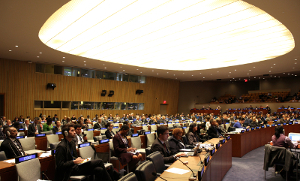 The eleventh session of the UN Forum on Forests took place between 4 and 15 May at the Headquarters of the United Nations in New York. Delegates of over 125 countries participated in the meeting including 30 ministers and vice-ministers.